Adding an extension to your home is a great way to increase its value as well as improving your lifestyle by giving you extra space. Whether it’s a small kitchen extension, a conservatory or a bigger project like a loft extension, GTS Developments LTD approaches any project, big or small, with the same professionalism and attention to detail. If you’re interested in organising an extension on your house, there are a few things to consider before you start. GTS Developments LTD has completed hundreds of extensions and we take into account issues such as access, logistics and the condition of the surrounding area. Additional space for your home might mean less space for vehicles. We can work with you to consider any current access points to the house and plan in advance to what extent an extension will alter the access points into the building. Extensions require space for materials and personnel outside of the desired area of the building itself, so you should check to see if your extension leaves enough space for people to work around. Extensions need as much care and planning as starting a building project from scratch. We take into consideration any surrounding trees, footpaths or other rights of way, and even the soil condition. We’ll also make a note of any history of flooding or other potential environmental problems that could affect the build. We know from experience that it’s wise to be realistic about the logistical side of having an extension added to your home. Building an extension takes time and there can be a number of costs that creep up if you don’t plan around a pre-determined budget. 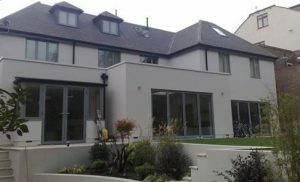 Once planning permission and building regulations are sorted, realistically an extension can take several months to complete depending on the size. As with all building projects, it’s important to plan ahead and consider the implications of adding an extension to your home. 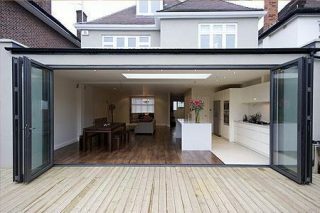 Adding an extension can be a temporary inconvenience but if organised effectively it can be a great decision for your home life and future. GTS Developments LTD is able to assist with any kind of building work you wish to undertake. We are fully insured and work with some of the best talent in the business.